British, French and American traditions of speculative fiction developed separately for more than a hundred years, with only slight overlaps prior to 1926, and continued to develop thereafter in accordance with different foci of interest and narrative methods, until the importation of the American label of "science fiction" initiated a process of fusion that was still not complete even at the end of the twentieth century. 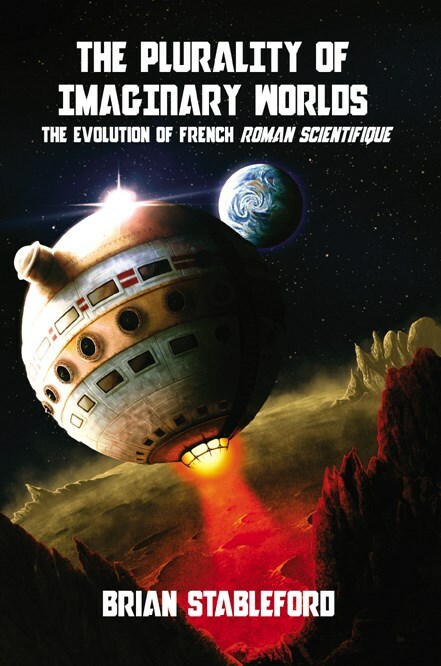 Like its closest English language analogue, "scientific romance," the phrase roman scientifique first made its appearance in the French language in the latter half of the eighteenth century, when it was initially used to refer to ideas in science that were thought to be, or turned out be, chimerical scholarly fantasies. The history outlined here chronicles the evolution and development of scientifically-influenced fiction in France from its seventeenth-century foundation-stones to the late 1930s, including interplanetary fantasies, futuristic fantasies, and attempts to produce a reasoned account of such evolution, paying heed to the differences between it and the parallel processes going on in Britain and America. The Plurality of the imaginary Worlds reviews over 300 works from 1657 to 1939 and illustrated with nearly 200 cover reproductions. Brian M. Stableford has been a professional writer since 1965. He has published more than 70 science fiction and fantasy novels, as well as several authoritative non-fiction books. He has also translated many of the works reviewed herein for Black Coat Press.